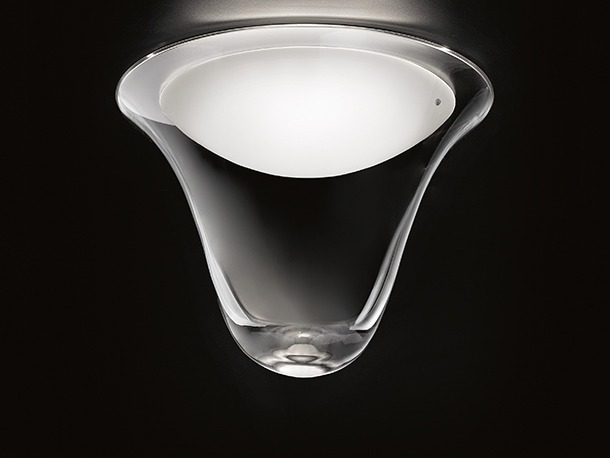 Bice is a ceiling lamp featuring a shade composed of a clear glass outside and a frosted glass inside. The white lacquered steel structure gives the object a feeling of delicacy. It has a diameter of 30cm and a projection of 22cm. The direct and indirect light diffusion is in a warmer colour of LED 2,700K CRI90.